DID YOU- DID YOU KNOW HE COULD DO THAT? I’M PRETTY SURE HE DOESN’T KNOW IF HE CAN DO THAT. HIS MIND IS A TOTAL MESS RIGHT NOW. HE FEELS BADLY HURT TO ME — LIKE HIS THOUGHTS ARE RIPPING AT THE SEAMS — BUT THAT’S ALL I’M GETTING. Over on the Patreon Page, I’m continuing our monthly Flashback Fridays, where $5+ backers will be sent a previously posted reward, and $10+ backers will be sent a high-res version of that reward (with over double the resolution) on the 10th of the following month. 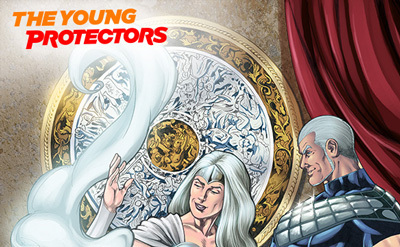 This month, it was a lovely pin-up featuring the villains of The Young Protectors, The Annihilator and The Platinum Priestess. $5+ Patrons get to download the full image immediately. $10+ backers will be sent a high-res version of that reward (with over double the resolution) on the 10th of October. So! Spooky feels like he is drowning in souls. 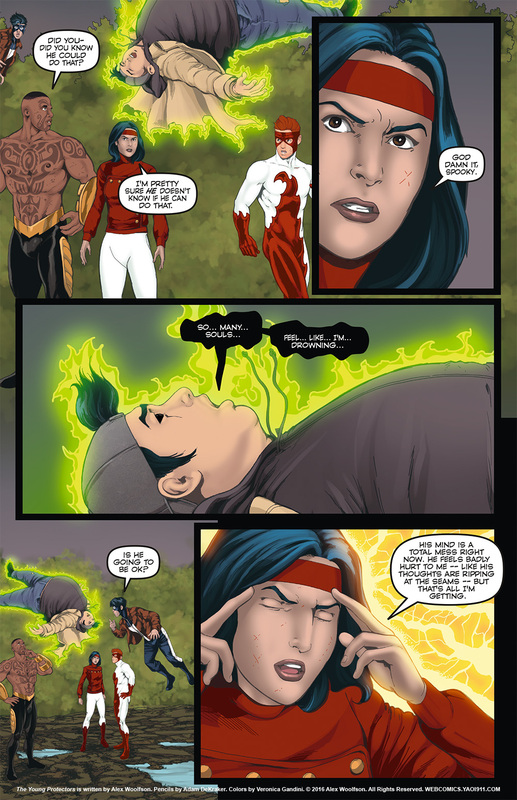 And Commander thinks his mind is ripping apart. Will he be OK? Will those souls be OK?